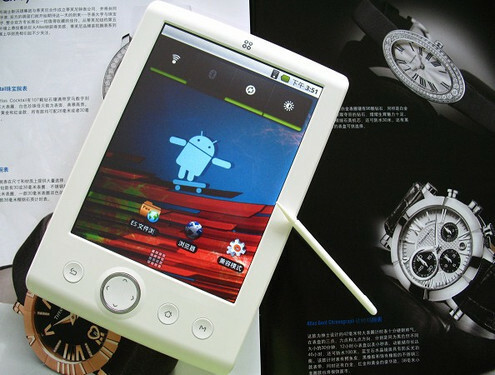 Discussion in 'Android Tablet News' started by xaueious, Aug 4, 2010. 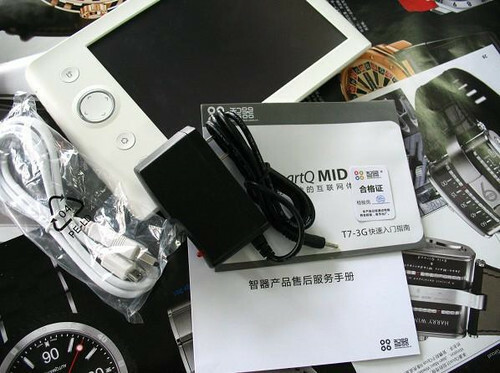 The SmartQ T7 has been unboxed at JT's Digital World. The SmartQ T7 is the newest in the lineup of Telechips TCC8902 based devices. This chipset is most notably also the same as the one in the Augen Gentouch. At the moment it seems that the model with 3G is prepared to ship first. 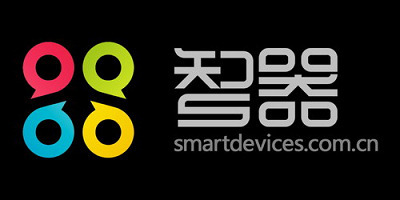 SmartQ has not updated their English webpage for the SmartQ T7, but it already has made it on Engadget. Other than the fact that the device is portrait by default and has a strange 800x600 SVGA screen, it also ships with an internal 3G module (MSRP of 1699RMB, 250US). It also ships with the Android market, but there's no word on whether or not it actually works yet. Wifi only models are also set to ship soon as well (MSRP of 1399RMB, 200US). That's a little steep for a device with said specifications, but actual retail pricing may be more fair. As the specifications are almost identical to the SmartQ v7, we estimate 2-3 hours of net browsing battery life, and 5 hours of use with the wifi off. More pictures of the unboxing are available at JT's Digital World Unboxing. We have inquired that the wifi edition of the device will be available at international distributors including JT's Digital World soon. 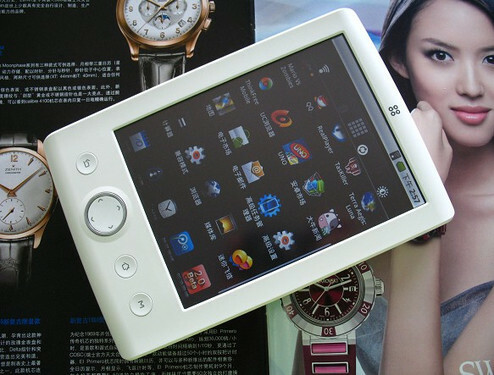 While the device does come with a G-sensor, from our knowledge of Telechips TCC8902 equipped tablets running Android, the G-Sensor may not work very well, if at all. Otherwise, this may prove to be another interesting alternative at the $200US mark. Curiously enough, the device is shipping with a Cyanogenmod wallpaper, and the non-3D version of the Android 2.1 Launcher. We wonder if the device is being shipped with any other Cyanogenmod features. 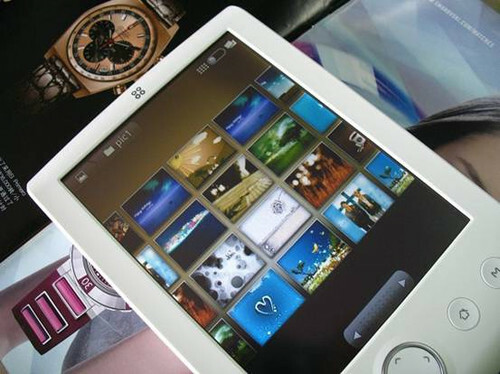 It would be great to start seeing dev teams like Cyanogen release custom roms for these tablets! They might if they get one. Since they are working on the Augen Gentouch, they are pretty much half way there already. But there is no kernel source released for the Telechips TCC8902. That's the one thing stopping any real development on this otherwise fine device.